Today I created a NEW PAGE on my web site, which lists published articles in various newspapers discussing my performances and other activities. If you wish to see it, please visit http://www.junkofisher.com/Press.htm! I joined the FAB Festival today, performing Sanshin and singing Okinawan folk songs. The FAB (Fourth Arts Block) is one of many festivals around this fall season in Manhattan. The location of FAB is on one block of 4th Street in the East Village, Manhattan, between Bowery and 2nd Avenue. There were local stores' booths and many other arts organizations' booths presented on the block. There were two main performing stages set up on the block, and many people enjoyed the various performers. Dressing in the performance costume. The instructors of fall workshop classes at Lotus. Tuning my Sanshin and rehearsing. The Japanese Soh Daiko group also performed at the festival. The stage for music performances. Saturday 22nd, 2012 1:30pm - 2:00 pm. Please check here for details of the event. 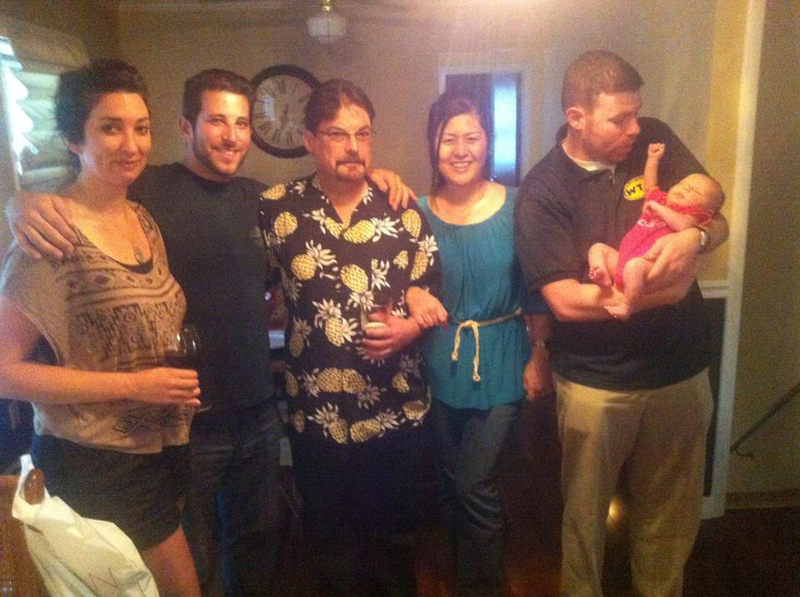 Yesterday, Larry and I were invited to a dinner at our friend's family. We had lots of fun with talking with old friends and seeing a six-week-old baby, too. While New York Fashion Week is held here in New York City this week, just coincidentally, I am making my own stage costume this week and completed one costume today. I am designing and creating stage costumes like this by myself, (of course, in addition to the handbags that you can see on my website: www.junkofisher.com). By the way, I am not going to sell dresses, just to be clear about that. My costume is a combination of Nishijin Brocade and Satin fabrics, just like my hand-made handbags. where the costume's theme is East meets West. Nishijin brocades are used in many stage costumes, from Ryukyu Classical dance costumes to Kumi Udui and Japanese Kabuki costumes. The shiny Gold leaf fabric is perfect for the stage. bought Italian Zeppole which is one of my favorite sweets in the world. After the Italian Festival, we went to a Japanese restaurant for dinner. Tororo Soba was really good. I was walking at Ally Pond Park in Queens, which is located near my home. Ally Pond Park is the biggest park in New York City and is home to the oldest tree in the New York City, too. I enjoy walking and smelling greens. 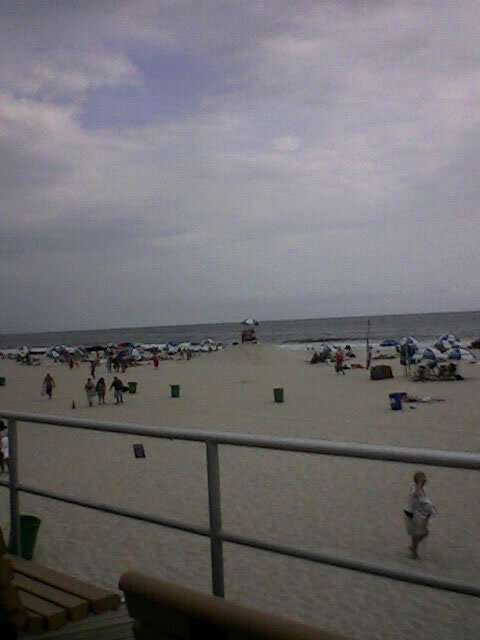 I had a great time on Long Island yesterday, having lunch at Joe's Crab Shack there. Their New England clam chowder soup is the best chowder I'v tasted in the New York area. After lunch with my brother in law who lives in Long Beach, we took an excursions to the Beach, where the two-mile-long white sandy beach is very clean, and many people gathered on the beach. 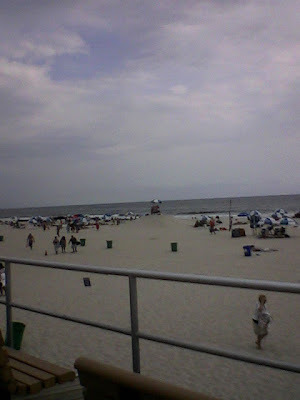 The water is not so clean and I can't recommend swimming, but there are many sports to enjoy in Long Beach, including volleyball on the beach and bicycle riding on the boardwalk. The Crab Shack serves seafood in big steampots. I went to a Craft Fair on Long Island yesterday. Please join me at the craft fair on Sept. 22nd in Roslyn, Long Island. I will present my booth at the fair, selling new handbags, table runners and other textile items. Please visit the bag section of my web site for holiday sales!! Here are the photos of my newest item.